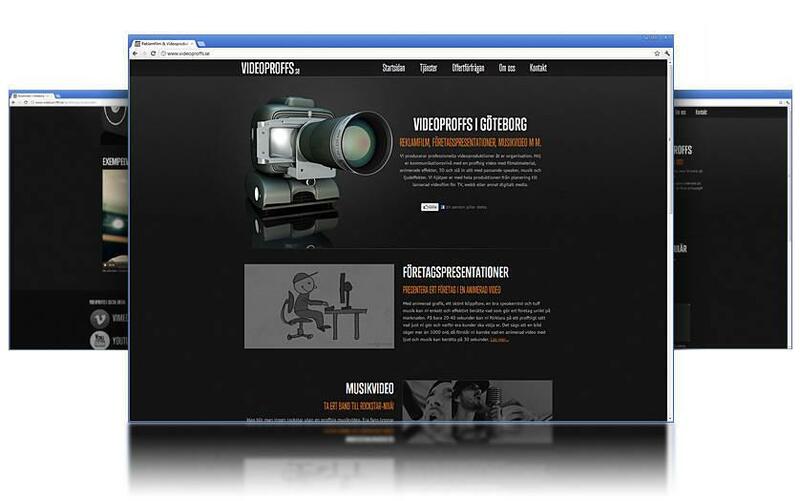 Videoproffs.se can offer video animations, vignettes, company presentations and short film commercials or music video. Presenting information by moving images has long been an effective way to quickly get out a message. Introduce your business or your product through a short film on the website or post it on video sites like Vimeo and YouTube. Are you rather impressed by their website and looking for something similar? Contact us here!